Last Friday, September 15, you may have seen a few revamped parking spaces magically appear just for the day. Pop-up sitting areas, pocket parks, play spaces, picnic areas, art installations, or any number of alternate uses suddenly took the place of parked cars—all for PARK(ing) Day 2017. Taking place the third Friday in September since 2005, PARK(ing) Day began with a single parking space re-imagined as a temporary public place by the San Francisco art and design studio Rebar. For more on PARK(ing) Day’s origins and story, check out Rebar’s PARK(ing) Day Manual. Creators of parklets this year included many chapters of ASLA, students, landscape architecture and design firms, small businesses, nonprofits, and many more. ASLA and the Local Government Commission (LGC) will lead the sixth annual Parklets Initiative at the 2018 New Partners for Smart Growth Conference. ASLA is looking for local organizations and design firms to participate in the design and installation of the parklets, advocating for urban green space and activated public space throughout our cities. Planning for Parklets 6.0 will begin in late September, gearing up for the conference on February 1-3, 2018. 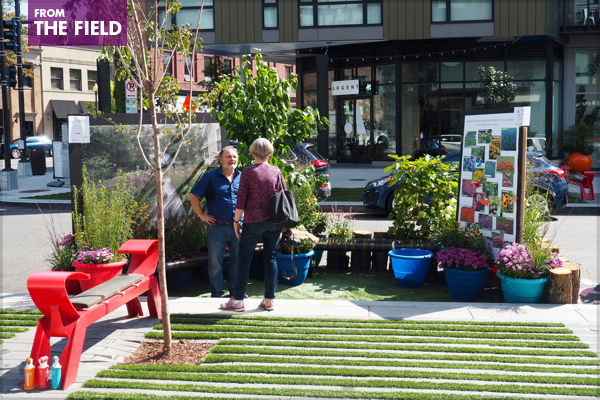 ASLA and the Local Government Commission (LGC) will lead the sixth annual Parklets Initiative at the 2018 New Partners for Smart Growth Conference. ASLA is looking for local organizations and design firms to participate in the design and installation of the parklets, advocating for urban green space and activated public space throughout our cities. Planning for Parklets 6.0 will begin in late September, gearing up for the conference on February 1-3, 2018. The Parklets Initiative is modeled after the PARK(ing) Day movement, which inspires the transformation of vehicular parking spaces into temporary urban parks. 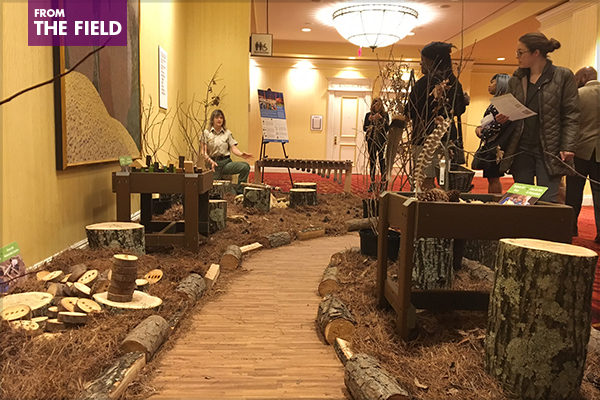 We bring this urban green space movement indoors, with installations located adjacent to the conference session rooms easily accessible by conference attendees. See The Field recap of the 2017 Parklets 5.0 initiative. There will be many opportunities to learn, network, and celebrate during the ASLA Annual Meeting and EXPO in Los Angeles next month. 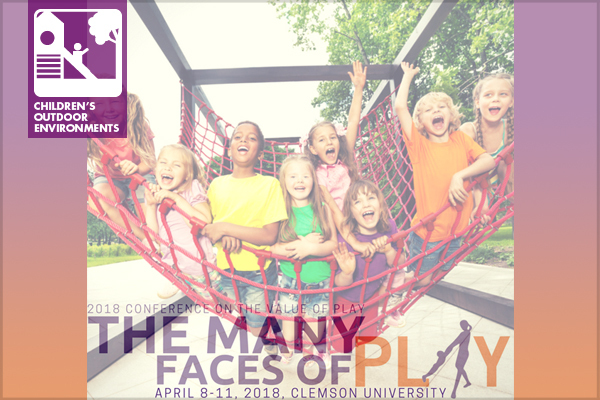 In addition to the 140+ education sessions, field sessions, workshops, and special events, be sure to add PPN Live to your annual meeting plans. 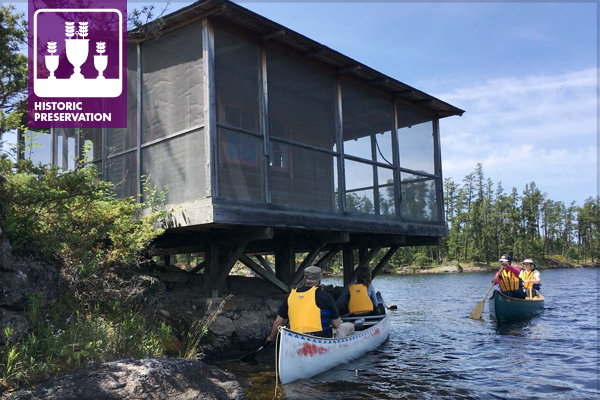 And, remember to register by the Advanced Deadline this Friday, September 15—registration and many ticketed events increase in price after that deadline. Participate in a PPN Live session. 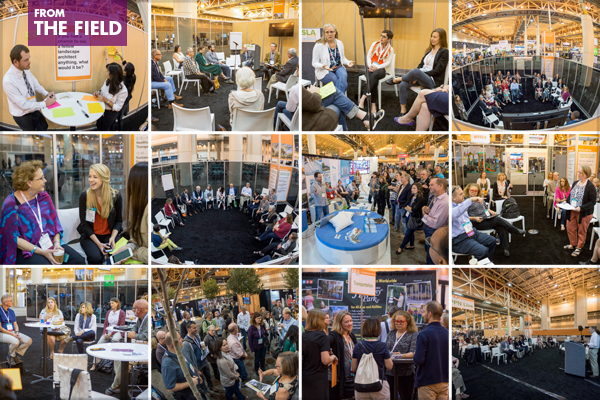 PPN meetings take place on the EXPO floor throughout the day on Saturday and Sunday, and include a variety of formats: invited speakers, fast-paced presentations, networking sessions, and more. Attend an exhibitor-led tour of the EXPO floor focused on a PPN topic area (1.0 PDH LA CES/NON-HSW). Network with your PPN peers at the EXPO Reception featuring the PPNs on Sunday from 4:30 to 6:00 PM. It’s free for all registered annual meeting attendees, and non-PPN members are welcome to attend. 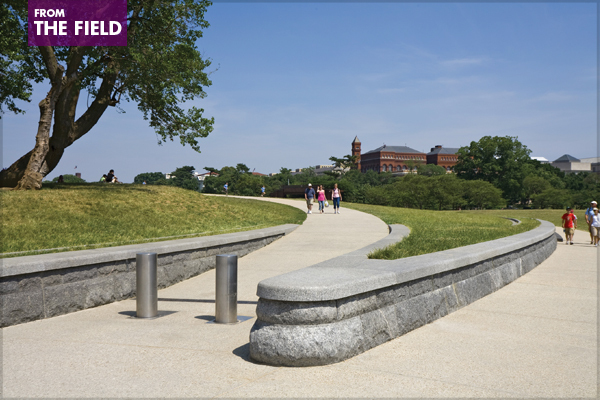 ASLA hosted a panel of landscape architects to discuss the security design of public places on August 31, 2017. In view of recent tragic events in Charlottesville, Barcelona, and London, the panel examined the urgent need to ensure the public’s safety on public, government, and institutional properties. 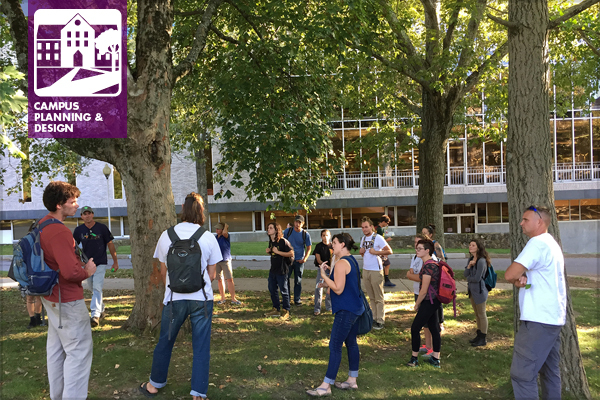 Key design goals and challenges were also addressed from various angles, with a special focus on how to provide an adequate balance between addressing threats and the beauty of the public realm. The virtual panel was recorded and can be viewed here. The panel was moderated by Nancy Somerville, Hon. 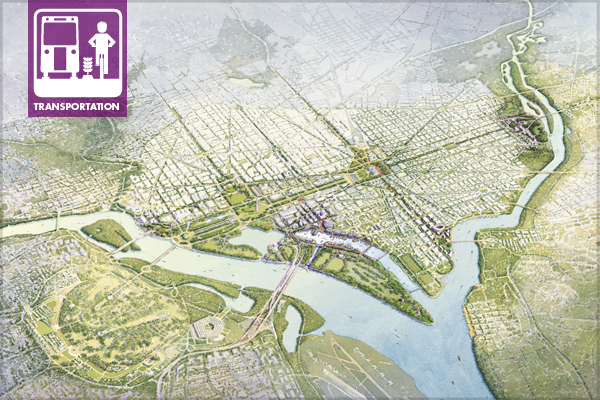 ASLA, Executive Vice President and CEO, ASLA, Washington, D.C., and featured three speakers: Bernie Alonzo, ASLA, Gustafson Guthrie Nichol, Seattle; Leonard Hopper, FASLA, Weintraub Diaz, LLC, Nyack, N.Y.; and Richard Roark, ASLA, OLIN, Philadelphia. Below we highlight a few of the key discussion topics and takeaways, plus additional resources on security design.